We're delighted to announce that the students from our Professional Development Programme will be presenting the musical LITTLE WOMEN during February half term 2019. 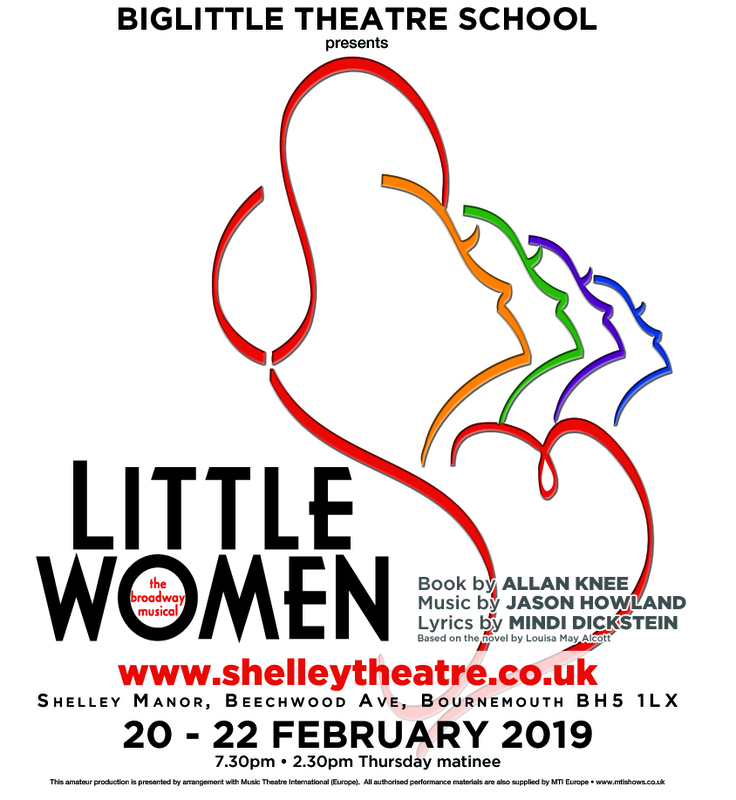 Following on from the success of INTO THE WOODS, we are also really pleased to be making our first visit to the delightful Shelley Theatre in Bournemouth with this new production directed by London director Susan Raasay. LITTLE WOMEN, based on the book of the same name by Louisa May Alcott, is autobiographical and follows the adventures of sisters Jo, Meg, Beth and Amy March. Jo is trying to sell her stories for publication, but the publishers are not interested - her friend Professor Bhaer tells her that she has to do better and write more from herself. Begrudgingly taking this advice, Jo weaves the story of herself and her sisters and their experience growing up in Civil War America. Performed by a company of vibrant and highly talented, professionally trained musical theatre students, this new production will guarantee laughter, tears, and a lifting of the spirit. Tickets are now on sale from the Shelley Theatre website - https://shelleytheatre.admit-one.eu/?p=details&s=CHPSHELLEY&eventCode=43436 - the production plays for just four performances so don't miss out!